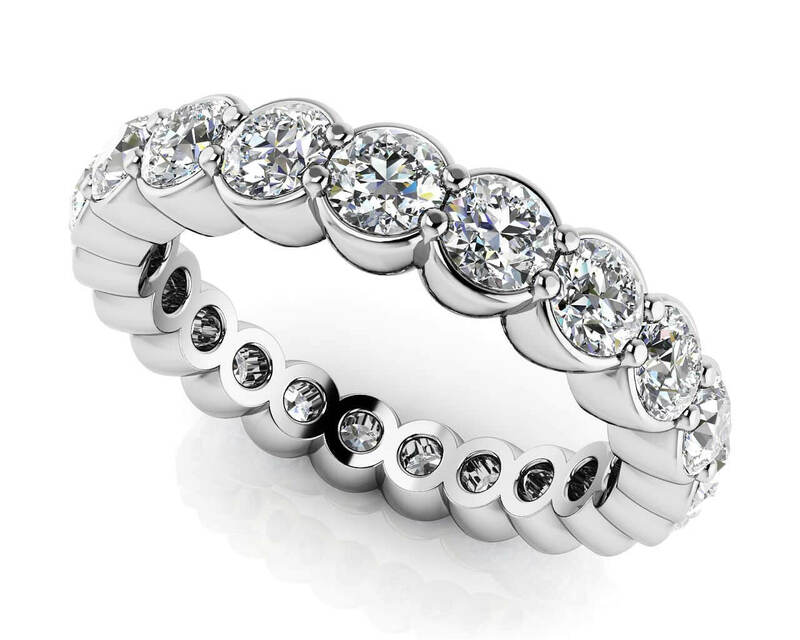 This eternity ring really makes a statement with its modern design. 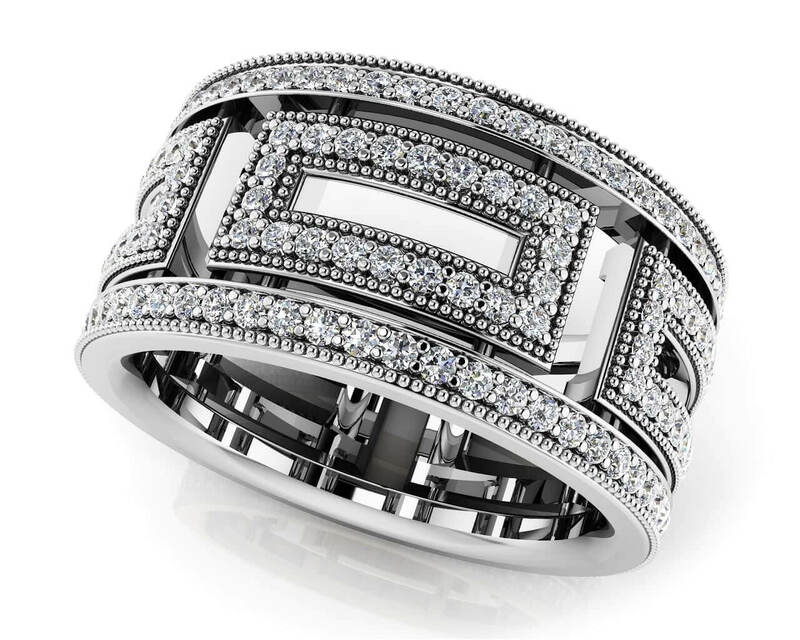 It features over 200 diamonds with a milgrain edge design. 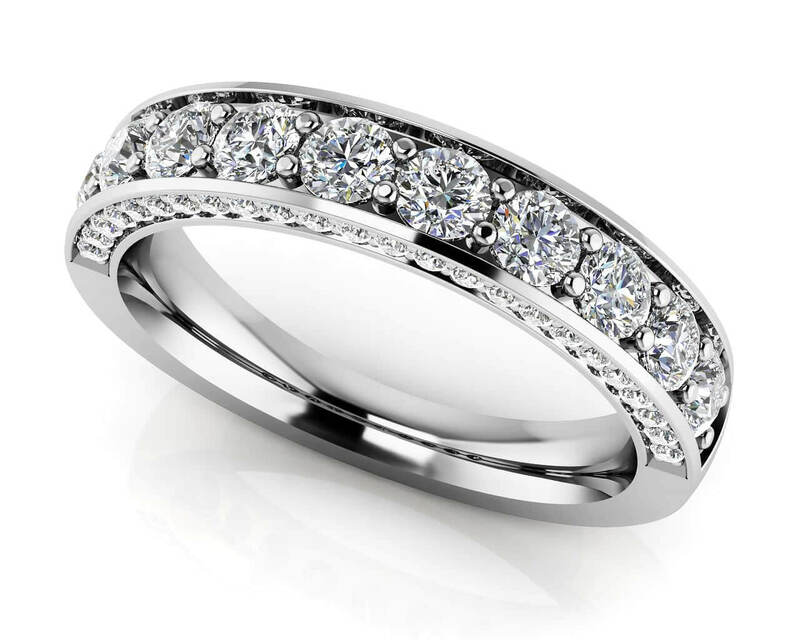 This ring is the perfect way to surprise her for any special occasion and can be customized with your choice of metal, total carat weight, and diamond quality. Stone Carat Weight: 222X0.005 ct.